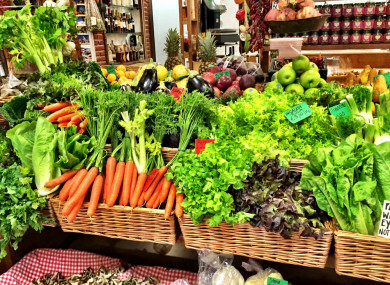 NEW RESEARCH HAS found that it’s never too late to cut your risk of dying from heart disease by adding fruits and vegetables to your diet, even if you previously had poor eating habits. Previous studies have found that eating a diet rich in plant-based foods can reduce the risk of diabetes and heart disease but the new research has shown for the first time that positive or negative changes in a person’s diet can influence their risk of dying, no matter how they ate in the past. “Not all plant-based diets are equal, but boosting the intake of high-quality plant-based foods over time lowers the risk of death even among people who started off with poor-quality diets,” explains the study’s lead author, Megu Y Baden, from the Harvard TH Chan School of Public Health. The study included nearly 48,000 women and 26,000 men with an average age of 64. None of the participants had a history of heart disease or cancer when they entered the study in 1998. During the 12-year follow up the death rate from all causes dropped by 10% for those who added the most fruit, veg, whole grains and nuts to their diet. Removed refined grains (such as bread, noodles, couscous and white rice) from one meal and replaced them with wholegrains (such as brown rice, whole-wheat couscous, oats or corn). Added one serving of fruit and one serving of veg. However, not all plant-based food has this life-lengthening effect, the death rate was 11 percent higher for those who ramped up their consumption of unhealthy plant-based foods such as chips, fruit juices and sweets. Email “Adding fruit and veg to diet cuts heart disease risk, no matter how you used to eat”. Feedback on “Adding fruit and veg to diet cuts heart disease risk, no matter how you used to eat”.